I feel Microsoft is doing a great job when it comes to the default security of their products. I’m not the only one, as Microsoft attitude towards security and user-friendliness has even earned it kudos in the keynote of the Australian Linux Conf last week for its default SecureBoot implementations on OEM hardware. Now, while logged on as this user, open a command prompt. This will dump the security configuration settings of the local computer to the file C:\secconfig.cfg. 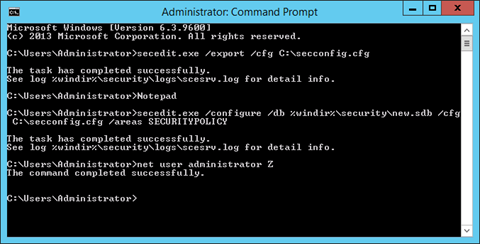 Open Notepad by typing Notepad.exe on the command prompt. In Notepad, use the Open… command from the File menu or Ctrl+O to open C:\secconfig.cfg. 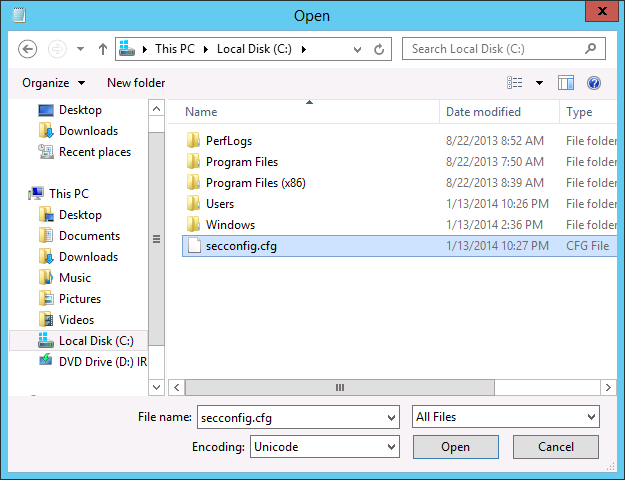 In the Open window, click on This PC in the left pane and then select Local Disk (C:). In the bottom right corner change the selection criteria from Text documents (*.txt) to All Files. Now, select secconfig.cfg, double-click it or click Open. 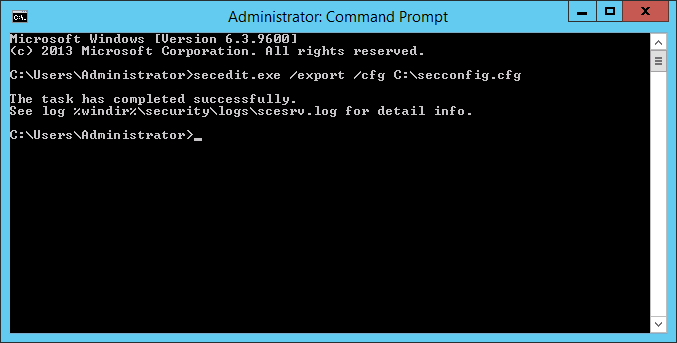 In secconfig.cfg we’re going to need to change the value for PasswordComplexity from 1 to 0. Scroll down, until you get to the line that reads PasswordComplexity = 1. Change the 1 to 0. Of course, you can also use Ctrl+F to find it. When you’re really lazy (like I am), you can also deploy a straight Ctrl+H to replace PasswordComplexity = 1 to PasswordComplexity = 0. When you also dislike the passwords of accounts expiring, you can also configure that here. Looking to enable the guest account? Go ahead. When done, use the Save command from the File menu to save the new settings to the file. Next, close Notepad by either clicking on the red tab in the top right corner of the application or by pressing Alt+F4. In the example above, we’ve given the password ‘Z’ to the administrator. You have some spelling errors in the command lines which makes us lazy people work harder. We can’t copy and paste your posted cmds. I noticed the commands were all missing backslashes. The screenshots featured them all. The removal of the backslashes in the text was probably caused by the recent migration, that relied on exporting and then importing blogposts. I have added the backslashes for your convenience.